THE WARS OF KARL IX AND THE DISASTER AT KIRKHOLM 1605. SWEDEN TAKES MOSCOW. Karl IX as king. War with Poland. .
Karl was the one of the sons who reminded the most of his father. Suspicious, brutal and fast to act he actually surpassed his father in these not to flattering qualities. But he was also even more skillful, inventive and had more initiative. He founded Göteborg (Gothenburg). He modernized the mining industry by encouraging foreign expert to move to Sweden. He also kept his taxcollectors in a tight grip, always suspecting them of fiddling to enrich themselves. Karl IX to the left was actually the uncle to the polish king Sigismund to the right who was once the king of Sweden as well as Poland. Born in Sweden and raised there his polish crown was the result of his fathers, Johan III political ambitions. By clever political maneuvering and an outright revolt the duke Karl managed to get Sigismund loose his Swedish crown and usurp it himself. Sweden and Poland were to fight almost without interruption until the downfall of the Swedish great power more than 100 years later. As in the case with Denmark the initial wars were evenly fought and managed with difficulty only. Later wars would give glorious victories but in the end Sweden alone could not face the rest of northern Europe united to destroy Sweden. It that ultimate goal they would fail however. But problems soon arose. As soon as the polish king Sigismund came back to Poland after the defeat at Stångebro he remembered that he had promised the polacks Estonia. So he gave Estonia to Poland. But Reval (Talinn) didnt want to become polish. The town and the estonian nobility pleaded to Karl IX for protection and he arrived with an army of 13000 men. With this army he entered Livland and plundered. Dorpat fell to the Swedes and in early 1601 the army stood at Duna with only Riga and Kokenkausen left to qounquer. But now the fortune turned. Strong polish forces drove the kings army back and in the defense of Wolmar both Jakob de la Gardie and the kings illegitimate son Karl Karlsson Gyllenhielm were captured. In this precarious situation Karl IX learned of an uprising in Västergötland back in Sweden. He left for Sweden immidietly. The uprising was crushed and he got the counsil to agree to spend more money to buy an army of germans, englishmen, frenchmen and scots. With this army he returned to Estonia in 1605. He had 16000 men with him. The goal was Riga. The disaster at Kirkholm 1605. After initial success the Swedish army faced the polish at Kirkholm close to Riga on the 17th of September in 1605. The swedes were superior with 8368 men and 2500 cavalry men plus 11 guns. After the rainy marsch the troops had to wait for the powder to dry before battle could be joined. The Swedes deployed on a ridge north of Duna. The poles on another ridge opposite the Swedes. In between open ground.The swedish right wing was led by the count of Mansfeld, the center by Anders Lennartsson and the right wing by Henrik Brandt. The swedes stood in four lines . The first with seven battallions of infantry, the second with six battallions of cavalry, the third with six battalions of infantry and the fourth with five battalions of cavalry. The guns in front. The polish commander Chodkiewicz had deployed his much smaller force as follows. 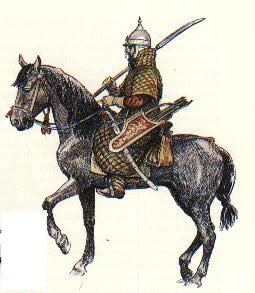 The right wing under Johan Sapieha with 650 cavaltymen in two lines, a center in one line under Wojna and a left wing of 1200 cavalrymen under Tomas Dabrowa in four or five lines. A small reserve under Teodor Laski with 200 cavalrymen and 1040 infantrymen in behind. The duke of Kurland soon reinforced the poles with 300 cavalrymen. The polish commander tried to fool the swedes into abandoning their advantagous position on the ridge and to advance into the open ground. After a number of attempts he succeded. The Swedes had reached as far as a small creek between the ridges when the poles attacked with the battlecry "Jesus Maria". 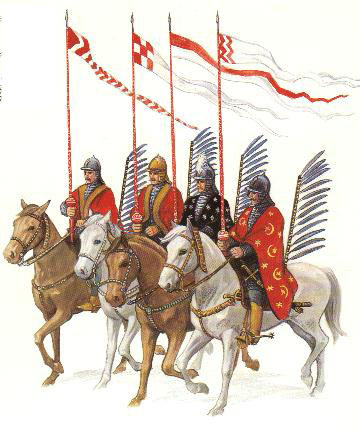 Wojnas cavalry managed to stop the swedish infantry that used pikes and muskets on the attacking cavalry with lances and pistols. The swedish cavalry on the flanks continued against their counterparts. Henrik Brandts cavalrymen were unable to stand against Sapiehas hussars and folded. Karl IX attacked with his cavalry reserve and slammed into Sapiehas unprotected flank. Brandt turned his men and attacked as well. Sapieha retreated. In the mean time Dabrowa had driven Mansfeldts cavalrymen back and was now in pursuit. The interlocked cavalryunits slammed into the swedish infantry that was disrupted and trampled. Wojna and Dabrowa together attacked the swedish infantry that was now trying to deploy for defense at a churchstonewall. Chodkiewicz now ordered Laski to attack Brandts flank with his cavalry and his infantry was to take the church. Laskis furious cavalry attack drove the disorganized swedish cavalry into their own infantry again. Trampled and disrupted as 2000 swedish and polish cavalrymen slammed into them they fought back as best they could. 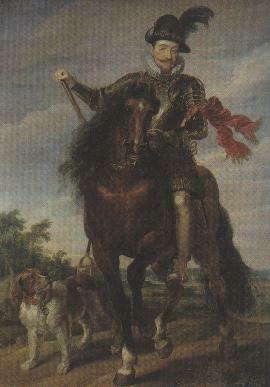 Karl IX had lost his horse and was lightly wounded by a weak swordhack in his head when a estonian nobleman, Hendrich der Wrede, offered him his horse so the king could escape. Wrede was killed. By now the swedish cavalry had fled the field. The abandoned infantry was at the mercy of the poles that offered none. Lennartsson, von Hinkeman and duke Fredrik died with their men with pikes in hands. The massacre resulted in 8000 killed "swedes" (many being foreign mercenaries) according to some sources and 3850 according to others, about 1000 poles were killed as well. The defeat was total regardless of the number of killed swedes. But the impact of hardcharging cavalry was not lost on the Swedes. The experience would greatly effect the tactics of the Swedsh army in the years to come. It is not entirely false to say that within the disaster at Kirkholm lay the seed to the Swedish great power and the miltary system that made it a reality. But the poles were unable to exploit their victory and the war continued back and forth over Livland until 1611 when a cease fire was negotiated without loss of land, this despite that Sweden suffered another equally disastrous defeat at Dunamunde in 1609 and lost severeral cities. The war was now fought in Russia as well. Sweden interferes in Russia. Moscow is entered by the Swedes. A Swedish czar? When the czar Fjodor, son of Ivan the terrible and the last of the czars to descend from swedish vikings, died Russia was plunged into the great disorder. Warlords plundered the land and one wannabe czar after the other struggled for power in bloody contests. In 1606 the czar Vasilij Sjusjkij appealed to Sweden for help in exchange for Kexholms county. His opponents were backed by Poland. 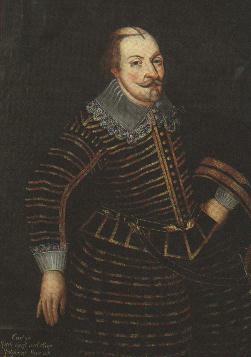 The newly released Jakob de la Gardie was given command over an army of finns, scots and frenchmen. He marsched on Volga and after some internal trouble with the foreign mercenaries as well as with the swedish finns Moscow was entered in 1610. Neither Karl XII a hundred years later, Napoleon two hundred years later or Hitler 330 years later was to succeed in this. Jakob de la Gardie marched all the way into the Kreml. But the continued war meant defeats at Klusjino and Ivangorod. Jakob de la Gardie marshed on Smolensk that was threatened by the poles. His foreign mercenaries decided to defect to the enemy and with only a handful of swedes and finns de la Gardie was forced to withdraw. At Viborg he was reinforced and managed to seize Kexholm by siege since it was occupied by russians . De la Gardie continued to Novgorod that was besieged but since the swedes lacked artillery the probability of success was low since the town was surrounded by a strong wall. De la Gardie feinted an assault on one side of the city and managed to blow a gate in the darkness of the 15th of July. Cobrons and Horns cavalry men charged through the gate followed by infantry. The following day when de la Gardie prepared to blow the castles gate the russians surrendered. This victory was important since Karl IX second son Karl Filip was elected czar. But Karl Filip, only 11 years old, arrived to late due to his overprotecting mother. The chain of events had changed the circumstances and the opportunity had passed. Romanov becomes czar. Sweden is now at war in Livland and in Russia. At that time the danish king Kristian IV decides it is time to resurrect the Kalmarunion and declares war. The war in Russia continues however. Evert Horn first takes Kopore, Jama after a brief siege and a smaller victory against a cosackunit and then besiged Ivangorod in 1612 . Horn continues to Gdov that is siezed. He doesnt manage to sieze Pskov however but returns to Ivangorod that surrenders in December. Trophygun taken at Ivangorod 1612. Today at Gripsholms castle. Karl IX had a stroke in 1609 and recovered only slowly. Denmarks king Kristian IV saw the time ripe to resurrect the Kalmarunion when the Swedish king was close to death and Sweden engaged in wars in the east. In 1611 two danish armies entered Sweden. One in the east into Småland and one in the west towards Älvsborg. But the old warhorse Karl IX immidietly recovered upon the declaration of war and led his troops south. The danish tried to storm Kalmarcastle but failed, they did take the town however. Kristian IV participated himself. The swedes even managed to reinforce the besieged castle. The 16 year old son of Karl IX, Gustav Adolf, entered the danish Blekinge and looted and cleverly seized the danish supplydepot in Kristianopel taking 27 danish colours. Karl IX had raised an sizable army of 12000 men and faced the danish in a bloody battle when he attacked the danish camp outside Kalmar. But the swedes were forced to withdraw to Ryssby when a danish fleet with reinforcements appeared. The danes pursued but were repulsed. Öland was taken by the danes but retaken by the Swedes soon after. The swedish kings health deteriorated rapidly. He wrote to Kristian suggesting a duel between the two monachrs to settle the affair but the danish king naturally rejected the idea in a rather contemptous letter. On 30th of October Karl IX died. Sweden was engaged in war in Sweden itself as in the east. The finances were lousy and danger loomed everywhere. The dying king uttered the words "He will do it" i latin, "ille faciet", on his deathbed meaning his son Gustav Adolf. The new young king stood at a crossroads. He could either pursue the goals that had been set by Erik XIV, Johan III and his father Karl IX and finish the work in Livland and Russia. Or he could withdraw and settle for a smaller solution. Gustav Adolf, soon crowned Gustav II Adolf, better known as Gustavus Adolphus in the rest of the world chose to go for the big win. Starting to deal with the danish, continuing with the poles and twenty years later interfering in one of the most hideous of all conflicts ever, the thirty year war, he would be known as the lion from the north. He would make Sweden the great power of northern Europe. Denmarks time as the leading nation in Scandinavia and northern Europe was soon to end. In some decades Denmarks very existance would be threatened. "Ille faciet". He will do it. And he did. CLICK THE FLAG TO GET BACK TO CONTENTS!